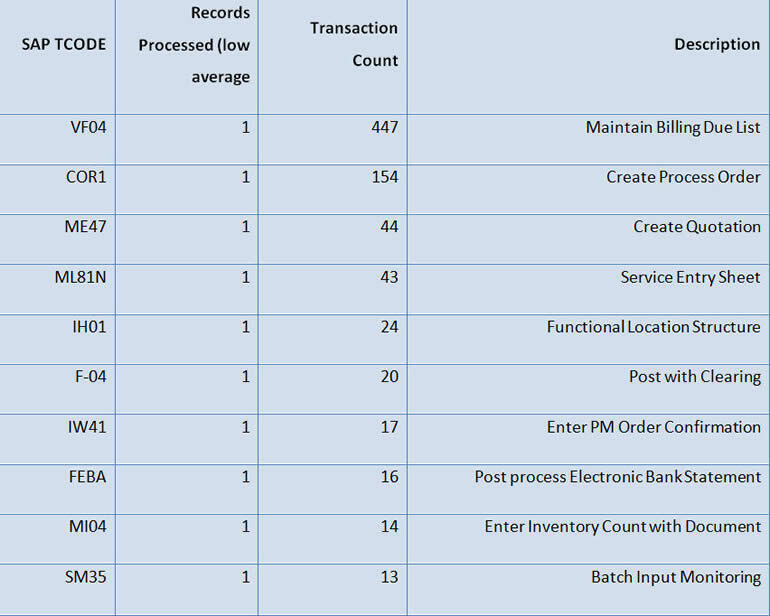 Ever thought – “What are the most popular transactions for Winshuttle?”; “Which companies are like us and what are they doing with SAP and Winshuttle?” To start to answer some of these questions, let’s take a look at some of the key findings of our recent log file analysis. A couple of interesting findings – PA30 (Maintain HR Master Data) emerge into the top 10 use cases from 33place in 2010. Also, FBL5N went from 95place to one of the top 5 transactions in 2011. This reflects the power of this transaction for not only looking up data but using this transaction to update documents related to customer information (examples include updating terms for customers, sending dunning messages etc.). Another transaction that zoomed up from 267place to #9 is another display transaction “Display Material BOM – CS03” again reflective of how customers are using Winshuttle Transaction (or Winshuttle Query) for reporting purposes – in fact extracting data in this case to analyze and report upon. 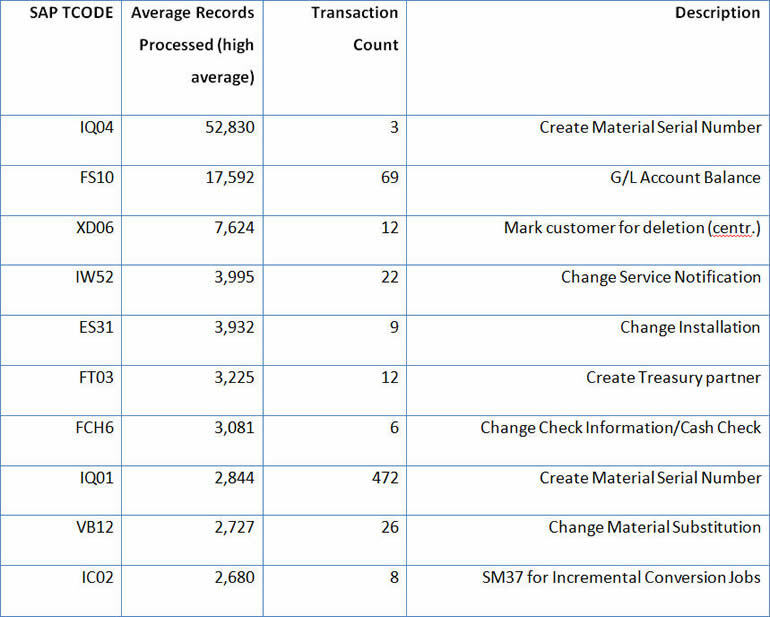 As we further dive into the transaction analysis, we start to think about the difference in “lower average record processed transactions” – simple form-based transactions (few records- many transactions – see Table 1) as opposed to “higher average record processed transactions” – mass uploads (many records, many transactions). The following two tables highlight the variability in transaction types based on average records processed and transaction count. 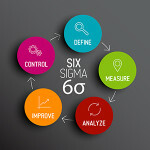 Using these industry benchmarks, we can help you to better understand your SAP usage and prescribe a plan of attack for business process improvement using the Winshuttle Usability Business Value Assessment. 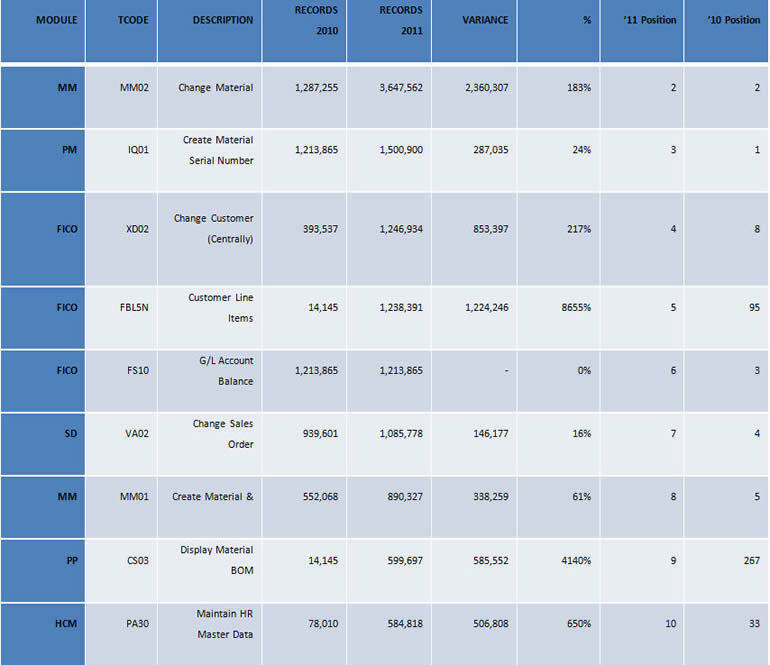 If you would like more specific industry segmentation information on how Winshuttle optimizes SAP transactions in general, or SAP transactions that are of key interest to your environment, or would like to perform a Winshuttle business value assessment, please contact sales@winshuttle.com.